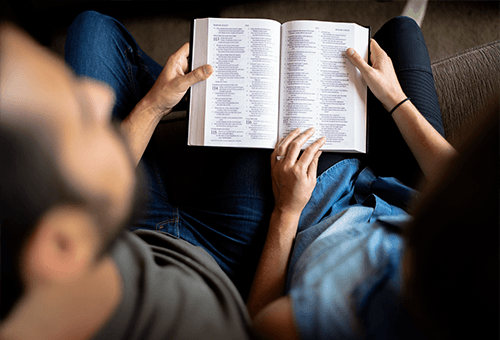 People sometimes have the idea that bible study groups are for very serious clever people who sit around nodding their heads and saying very deep meaningful things – well, they’ve obviously never been to one of our groups! Here at St Andrew’s we’re all pretty ordinary, biblically challenged people and we’re always laid back and informal. The thing we all have in common is that we genuinely love Jesus and want to learn more about the things that God has said and done. We’ve found that our faith has really grown as a result of looking at God’s word. Dig Deeper is a monthly DVD/ Bible discussion group which meets at St. Andrew’s on the third Saturday of most months. It’s for anyone who’d like to deepen their faith and understanding of the Bible, for those who have recently come to faith, or those who have been Christians for many years. It’s ideal for people who are unable to attend a mid-week house group, as well as those who do attend one, but want an occasional ‘top up’. People from several local churches attend, but mainly St. Andrew’s and St. Margaret’s. Each session is free standing, and you can come to whichever you wish. We ask for a small donation of £2 to cover costs such as refreshments and the DVD – but don’t let that put you off coming. Please contact the parish office (office@uxbridgeparish.org or 01895 258766) for more information.